No final decision mean no decision at all, of course. But the BBC adds that Arsenal, who made a reported bid of £20m for Vardy, are looking at alternatives. Neymar wants a new and improved deal at Barcelona, the current Spanish champions, where he plays in a coruscating forward line with Suarez and Messi. If Neymar fails to get it he will move to Real Madrid – have the pig’s heads ready, lads – PSG and the French mono-league, or to live in Manchester and play in the Europa League. 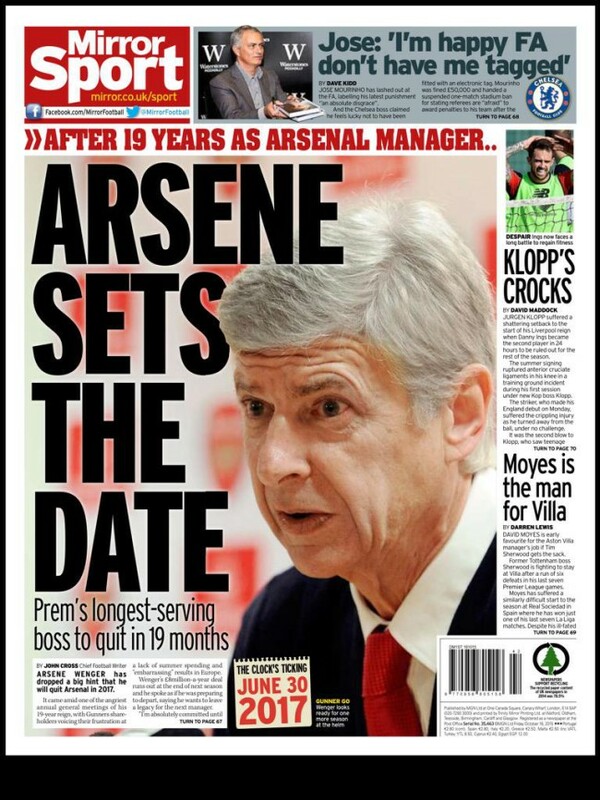 So says the Manchester Evening Post. As negotiating tactics go, Neymar’s agent looks a bit desperate. 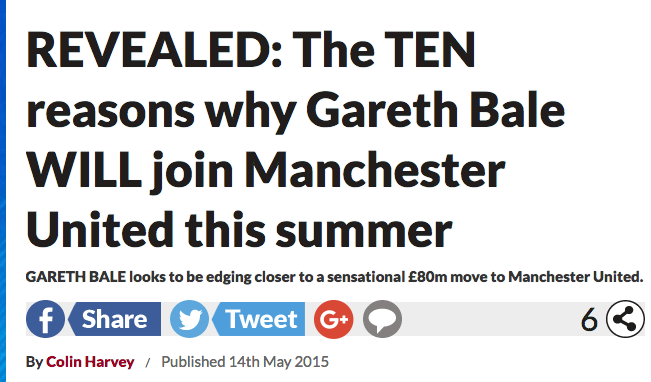 This friend wouldn’t happen to know De Gea’s agent, Jorge Mendes, would they – the agent who also represents Mourinho? So much for “the other one”. Russian thugs are in France for the Euros. 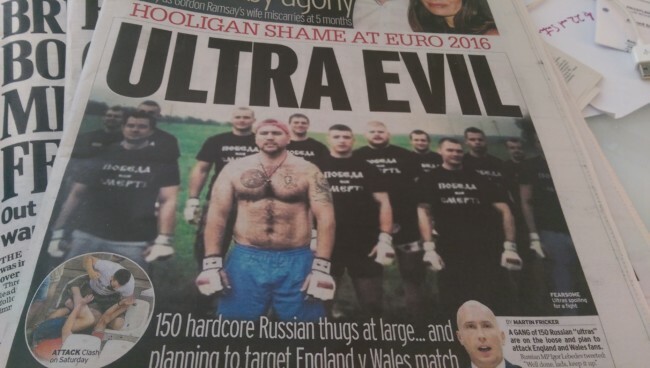 The Star says 150 of the “hyper-violent” Russian Ultras are “on their way to ambush England fans again”. Surely to ambush people you need the element of surprise. The only surprising thing these goons are capable of is breathing with their mouths closed. As General Igor urges more aggro from his Moscow hilltop, we read that a few Russian Ultras were stopped at the airport, but other “slipped away from Marseilles by train”. You might wonder how anyone can slip anywhere in a country monitored by CCTV and armed police on the look out for jihadis. We also read of Andrew Bache, 51, an England fan batted by Russian with an iron bar by Russian fans. He is in medically induced coma. Perhaps Igor can send him a card? The Sun says Russians chanted “DIE! DIE! DIE! as Mr Bache lay on the ground. And then we see an oddity. On Page 4 Joey Barton tells how he “feared for his safety” on the street of Marseilles as he came face-to-face with the Russian nutters. He as “petrified”. His pals had a “”young lad” with them. Readers may recall that this is same Joey Barton who in 2008 was jailed for assault and affray. Barton was caught on CCTV in Liverpool punching one man 20 times before an attack which left a teenage boy with broken teeth. Judge Henry Globe QC said it was a “violent and cowardly act”. Finally, we note that six England fans were jailed over hooliganism in Marseilles. There are not Ultras. But they are ultra thick. Transfer balls: The Daily Express says Leicester City winger Riyad Mahrez, 25, fancies a move to Arsenal. Is that right? Is Mahrez that crass as to court a rival team, one that finished below Leicester in last season? No. The Express says Mahrez “has refused to rule out a move away from Leicester”. Transfer balls: The Daily Star says Gareth Bale will join Manchester United this summer. Bale, will – get this – leave Real Madrid, where he’s won two Champions’ Laegue medals and seen his star rise, to play for United in the Europa League. 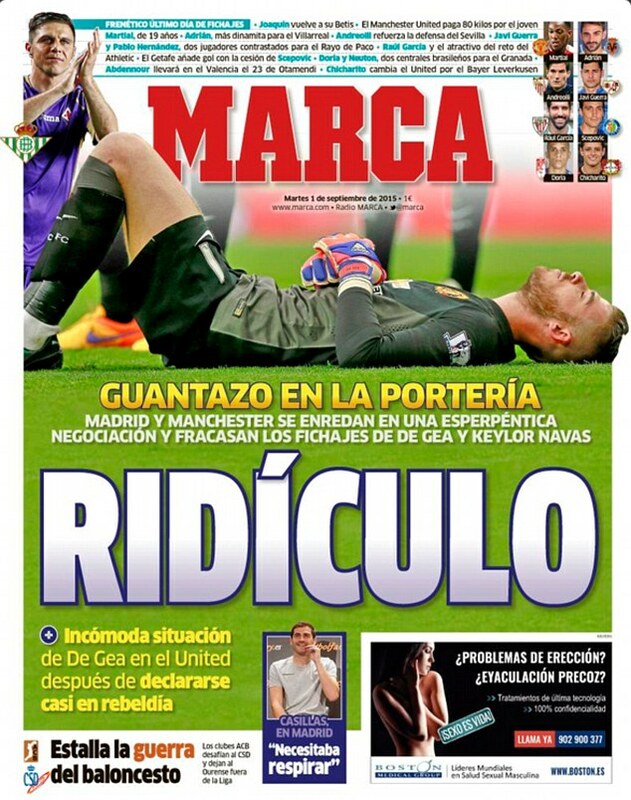 United will pay Real £94.6m for Bale who is – get this II – “keen to return to England”. Colin Harvey adds, Bale will be “United boss Jose Mourinho’s marquee signing this summer”. A marquee is a large tent. Bale to United is a fantasy. He’s chomping at the bit. 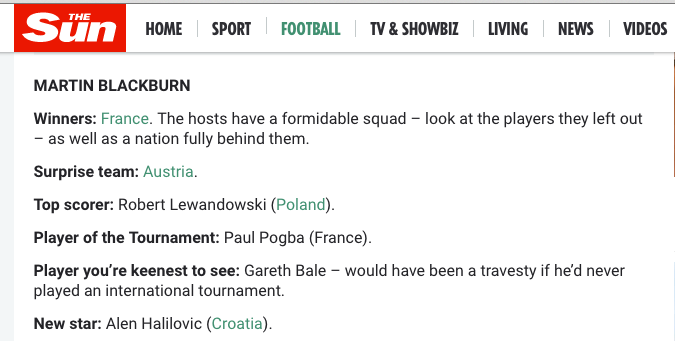 The Sun asked its football experts to pick their stars and winners for Euro 2016. Martin Blackburn was on it. For his “new star” he picked Alen Halilovic (Croatia). That’s the Croatian whose on Barcelona’s books, but spent last season on loan at Sporting de Gijón. 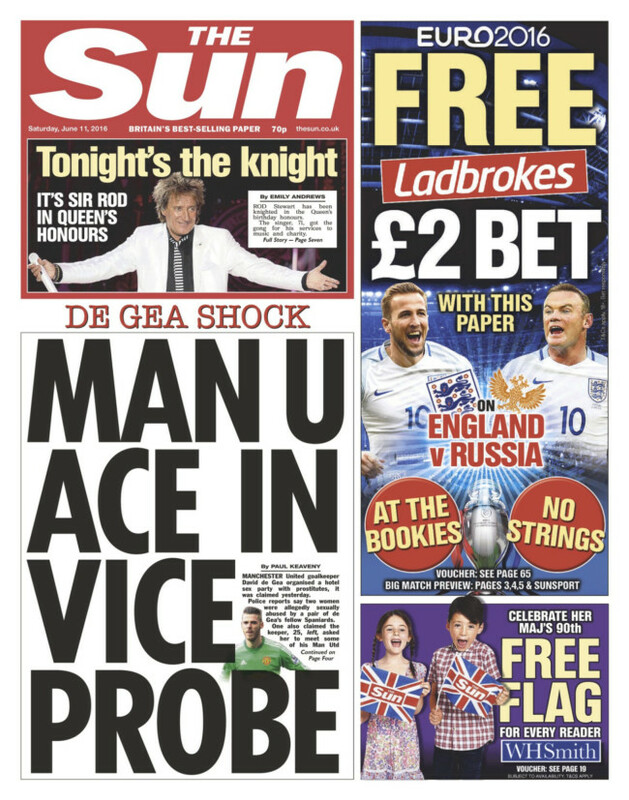 Yeah, the Sun’s new star isn’t at the tournament. As the summer arrives so too does the newspapers’ obsession with Paul Pogba, the former Manchester United player now starring for Juventus and France. The Daily Mirror says Manchester United “must” pay £78m if they want Pogba back at Old Trafford. The Mirror says news United manager Jose Mourinho wanted Pogba when he was at Chelsea last season. But Chelsea and Manchester City baulked at the £71m asking price. The Sun spots the Premier League’s “scramble” for Pogba. The clubs need not bother. The Sun says Pogba’s “dream is to play in La Liga for Real Madrid or Barcelona”. The Juventus player is “waiting on Spain’s big two before making any decisions”. So United will pay £78m? No, says the Express : “JOSE MOURINHO will offer Matteo Darmian as part of a deal to try and land Paul Pogba.” The deal is Darmian plus £60m cash. So says the Express, which has also told its readers that Pogba has agreed to join PSG and Barcelona. 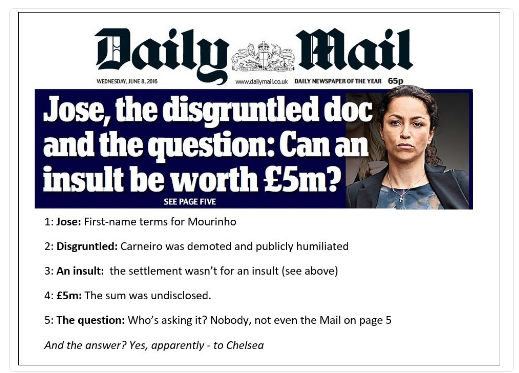 Dr Eva Carneiro turned to the courts when Chelsea failed to take a stand against her co-worker Jose Mourinho, who publicly humiliated her. Having rejected the club’s offer of £1.2 million to shut up and go away, Dr Carneiro continued to sue for justice. Yesterday she settled her dismissal claim against Chelsea on confidential terms. She had claimed constructive dismissal against Chelsea. In addition she reached a discrimination settlement against Jose Mourinho. Chelsea said it apologised “unreservedly”for its treatment of its former first-team doctor. How Cross knows this is unsaid. Readers are just expected to take it as fact. But Vardy has said nothing in public. He has not signed for Arsenal, which means he remains a Leicester City player. 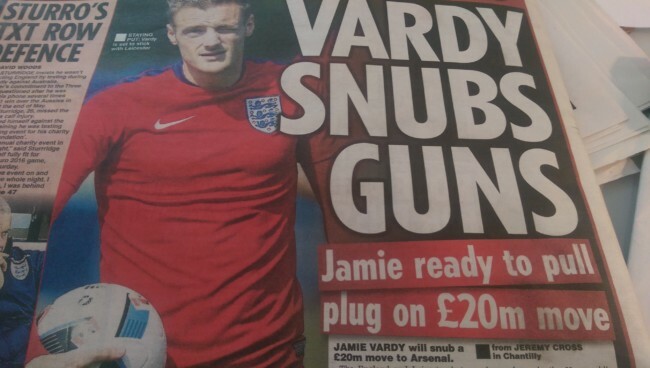 The Sun says “Vardy is a stop Gun”. Charlie Wyett says Vardy will decide on his future after Euro 2016. We’re told that Arsenal manager Arsene Wenger was “stunned when Vardy did not immediately jump at the move”. Well, if Wenget gets his news in the Sun he must be surprised with Vardy’s circumspection. The Sun told everyone Vardy had his Arsenal medical last weekend and would agree to join Arsenal before the England team flew to France. They flew. Vardy said nothing. In the Mirror, Vardy has “delayed” his decision to stay or leave Leicester. Vardy wants to “focus on England”. John Cross says Arenal must decide whether to wait for Vardy or go for another striker. Why wold they? The Mirror said Vardy’s agent approached Arsenal. But the Express agrees, writing that Arsenal will look at “alternative targets”. The paper says the Gunners are in a “sweat”. Why would they be? They made an offer. If the offer is not enough they will either offer an improved offer of look elsewhere. Vardy will either earn more cash at Leiecester with an improved deal, or more cash at Arsenal with a big signing-on fee. 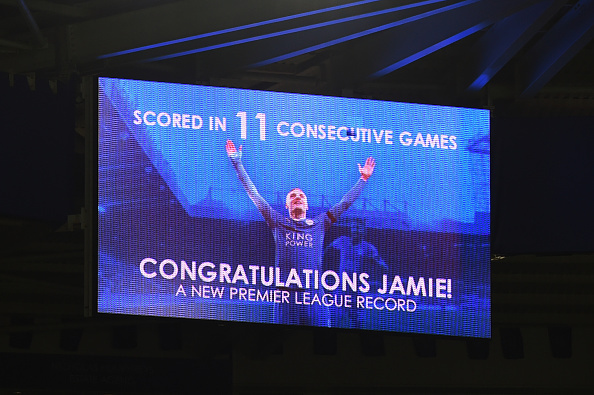 There are problems – and then there are Premier League problems. 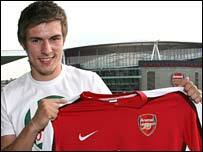 If the Gunners have seen the clause, you might wonder who showed it to them and why? In talks or linked? Jack merely says he read it in, the, Sun. As did the Metro’s man in the know, Sean Kearns, who said: “Arsenal clear to sign Riyad Mahrez as Leicester City winger decides to leave the Foxes.” Are Arsenal “clear to sign” the top player because no other club are after him? There has been no confirmation of Ibrahimovich to Manchester United. Jamie Vardy is in “transfer turmoil,” says the Sun. The paper, which stated Vardy would join Arsenal yesterday, says the Leicester City and England striker is torn between remaining with the Foxes and joining the Gunners. A “source” says Vardy “does not know” if he will join the Gunners for £120,000-a-week and any bonus form a £20m transfer fee. The paper says Vardy is “prepared” to wait until after the Euros in France to make his decision”. In the Mail, the advice is “SORT IT VARDY – England manager Roy Hodgson wants decision on star’s Arsenal switch”. But the Mail notes that the decision has been made, stating that Vardy has “verbally agreed a three-year deal with an option of a further 12 months“. Add to this the Mirror’s claim that Vardy’s agent instigated the Arsenal move and you have player not exactly “in turmoil” and “tormented”, as the Mail’s mind-reading expert Matt Lawton says he is. Is is really such agony to be deciding between playing for Leicester, the Premier League champions where you are adored, or moving to one of Europe’s biggest clubs for an extra £4o,000 a week? Come on. Vardy must love it. If Vardy has given his word that he will join the Gunners, this waiting for an official announcement looks like a PR job. Is Vardy the right man for Arsenal? Ian Wright tells Sun readers “James ticks all the boxes for Arsenal”, save for the bit of the form which says “sign here”. Wright reminds readers he joined Arsenal at 28. Vardy is 29. Wright was magnificent at the Gunners. He says Vardy will be a hit at Arsenal because he’s “clever” and can change his game. Dave Kidd tells Mirror readers “Vardy to Arsenal makes no sense”. Kidd says it is the “most un-Arsenal transfer move imaginable, making neither footballing no economic sense.” Vardy is the Football Writers’ player of the year. He is a proven winner. At 29 he is the same age Robin Van Persie was when he joined Manchester Untied and made them title winners. The Arsenal fans will love his work rate and desire to win. But Kidd says Vardy doesn’t score goals the Arsenal way (after lots and lots of passing). He says Vardy will be on the bench as Arsenal’s Plan B. Stop Press: The Guardian says “Jamie Vardy set to make Arsenal decision after European Championship.” Or as the Leicester Mercury puts it: “Leicester City transfer news: Vardy decision to come in next few days.” They don’t have the foggiest. Anyone want to play for Leicester City? As news of Jamie Vardy’s apparently imminent departure to Arsenal fills the news media, the Sun says the Gunners are also keen on Leicester’s Riyad Mahrez. Vardy has taken his medical at Arsenal, and, one assumes, passed it. It’s not known what the Arsenal medical involves but given their annual injury crisis, it could amount to a man in a white jacket asking he player, “How’s things?” as he rubber stamps the health insurance certificates. The Sun’s exclusive contains not a single source, quote nor fact to support it. Readers are told that “signing Borussia Dortmund’s Henrikh Mkhitaryan is Araenalk’s priority this summer”. Again, readers get no facts. Meanwhile, Anorak readers can recalls the Sun’s report from February 2016. The headline ran: “Arsene Wenger reveals he rejected chance to bring Riyad Mahrez to Arsenal because he thought Leicester sensation was too CHEAP.” Mahrez joined Leicester for £400,000. As Wenger treats fans as fools unable to know a good player when they see one, we remind him that Lionel Messi cost Barcelona nothing in transfer fees. 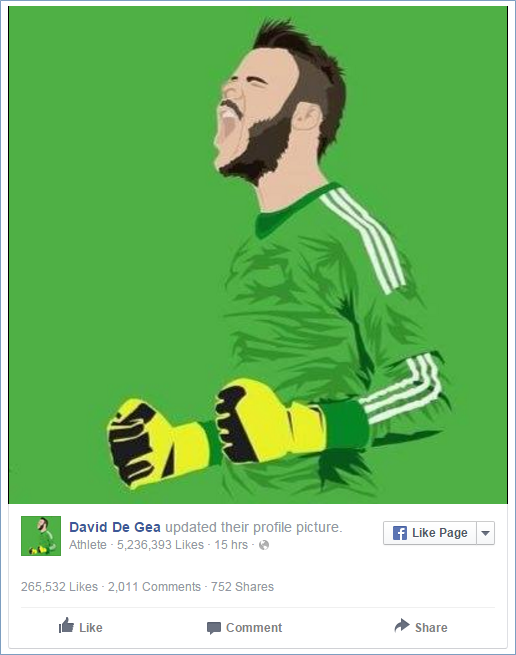 And the Barcelona fans are largely happy with his efforts. Every player was cheaper at one point in their careers and looking for a big break. The difference now is that with Wenger towards the end of his career, he’s desperate to win the title and will pay to do so.